This article is meant to assist you with your extendedReach “Shared Forms and Files”. “Shared Forms and Files” is a centrally located space for staff to access resources including web links and files. 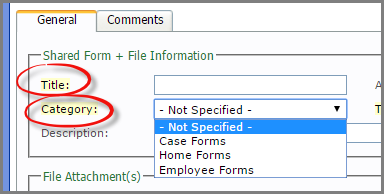 This single location storage allows for simplicity and accuracy when updating forms and files. 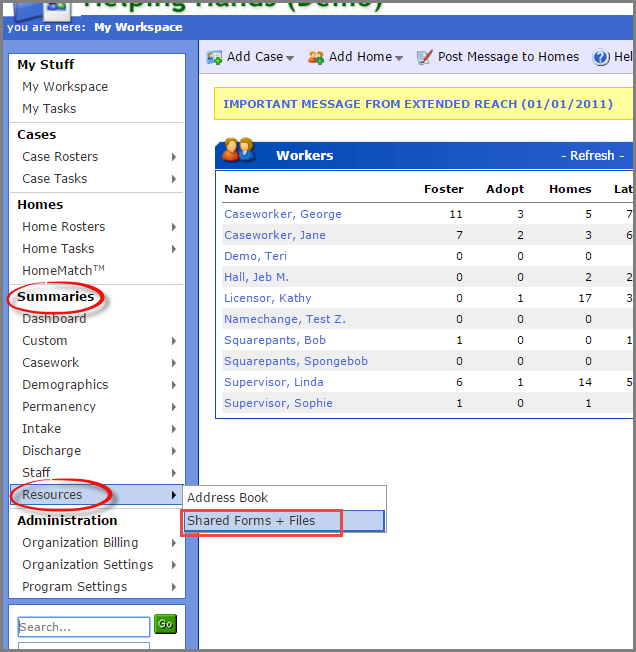 From your Workspace, “Shared Forms and Files” is located within Resources under Summaries on the left side of screen. 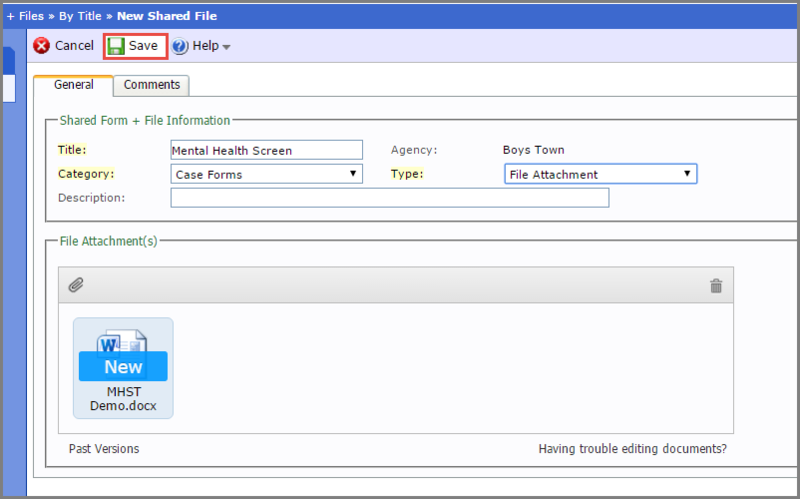 Within “Shared Forms and Files”, click on “Expand All”. Or click on the small plus symbols to expand files or links individually. 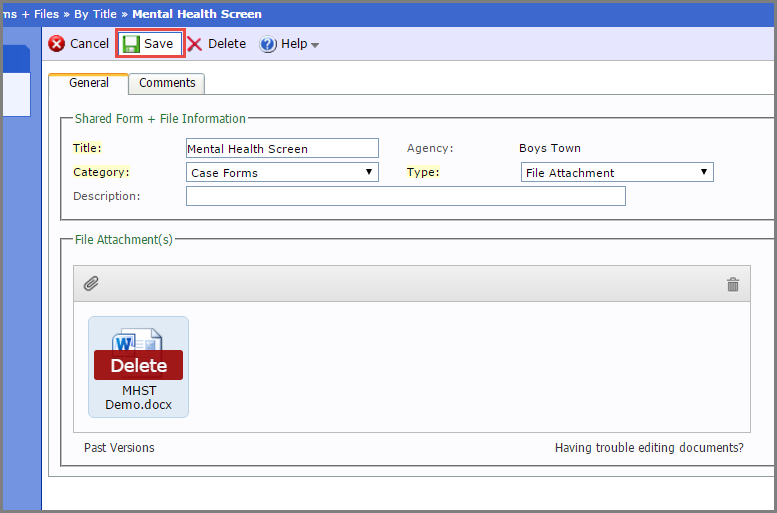 A User who needs additional selections within the drop-down menus should notify their Agency Administrator. The Agency Administrator will find “Shared Category Files” under “Keywords”/“Other” within Organization Settings”/“Organization Preferences”. From “Shared Forms and Files”, click on “Add Shared File”. In the General Tab, type in the Title and select a Category from the drop-down menu. Still in the General Tab, select the Type from the drop-down menu. 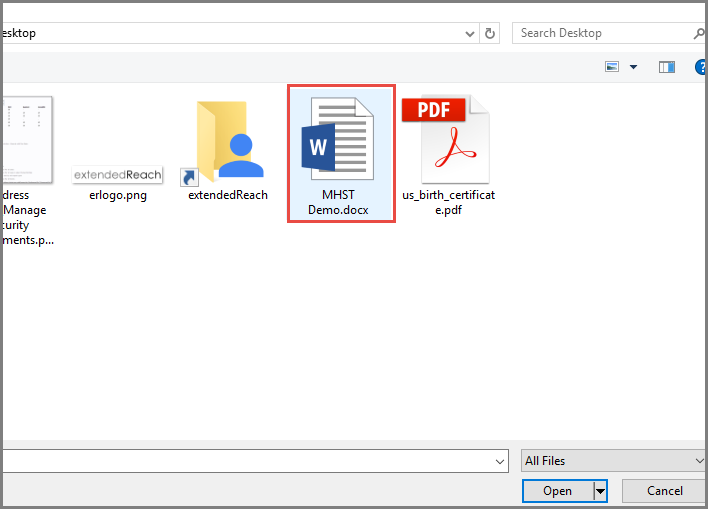 Attach documents by clicking on the paperclip symbol. Double click on the file you wish to attach. With the new file attached, click on Save. Should you wish to remove a form, file or link, simply click on the blue hyper-linked title. Click on the trash can icon in the upper right-hand corner of the “File Attachment” screen. Click on Save at the top of the screen. Now there are no files or links attached to this Title, however the Title remains. Should you wish to delete the title as well, click on the title. Select delete and “OK”.